What is Anorexia Nervosa or Eating Disorder? 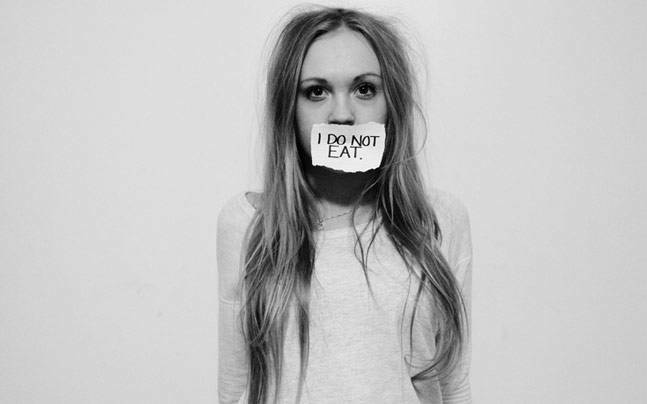 Anorexia Nervosa or simply anorexia is an eating disorder, characterised by an intense fear of gaining weight. It is more prevalent among women and teens or young adults. The individual has a distorted idea of body shape and weight, has abnormal eating patterns and low self-esteem. Although anorexia is an eating disorder, it is not only about food but is also a coping mechanism against emotional problems. Purge: Here the person feels a sense of guilt every time they eat and thus compensate that by vomiting, abusing laxatives or excessively exercising. Restrictive: Here the person will drastically limit the consumption of food, limiting it way below their calorie requirements, sometimes starving themselves. Anorexia could develop as a result of biological factors but most cases occur due to environmental and emotional factors. Anorexia is a complex disorder that involves biological, psychological and environmental factors. It can be effectively treated by a dietician and may also need to involve a therapist at times. Anorexia causes serious health issues such as heart problems, kidney, bone diseases, etc., that would need serious medical intervention. The person would need to be under the strict guidance of a dietician who will restore the normal weight and assign specific diet and meal plans. As mentioned earlier, anorexia is caused due to various underlying issues that need addressing by a therapist. A therapist will help manage past traumatic life events, learn healthier coping skills and further develop the capacity to express and deal with complex emotions. There is no guaranteed way to prevent anorexia. As it is more common in teens and young adults; parents and family members must be watchful of symptoms and address them before they can develop into a full blown illness.